As an Uber or rideshare driver, are you always trying to figure out how to make the most money while working? Here are 10 Uber and rideshare driver tips that will earn you more money. Being a rideshare driver is a great way to make money. Many drivers have come to love the freedom and income potential it offers. After all, how many other jobs allow you to be your own boss, create your own schedule, and to make as little or as much money as you want? If you've been an Uber driver for a while, you might be looking for some ways to maximize the amount of money you're making. 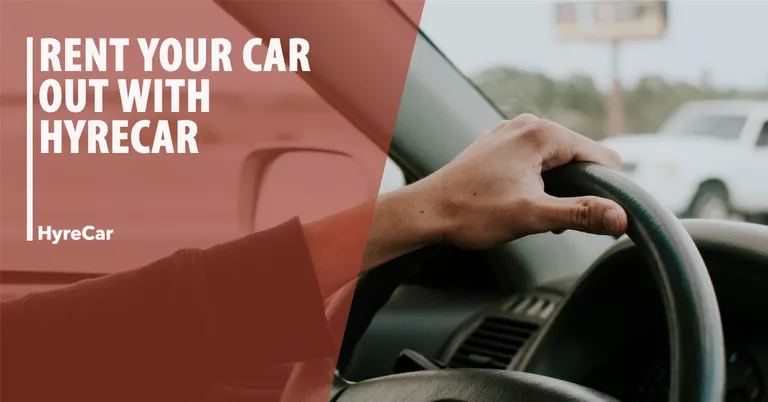 Fortunately, there are some Uber and Lyft driver tips that can help to boost your income without having to increase your hours spent on the road. Let's take a look at a few great ideas you might not have thought of. Getting tips from happy passengers is one of the quickest ways to make more money. Uber used to discourage passengers from tipping drivers, but that policy has since changed. The problem is that many riders aren't aware that Uber has changed their stance. This means drivers need to find a subtle way of letting passengers know that tipping is encouraged. Asking them directly for a tip is bad form and might result in a negative rating from that passenger. So what can you do? We suggest adding a decal to your vehicle addressing the issue. You could also make a sign to place on your dash. Either way, the message will be communicated without having to say a word. It's amazing how much of an impression you can make on someone with free stuff. Even something as simple as water. People love to hydrate while they ride, thus providing complimentary water to your Uber and Lyft passengers is a great way to inspire a generous tip. Buying water requires a minimal investment, especially if you shop at a wholesale warehouse like Sam's Club or Costco. We think you'll be amazed at how this investment pays off in improved tips almost immediately. One of the secrets of how to earn more than the average Uber driver is learning the areas of town that are most profitable. Sooner or later you will learn to stick to the heart of the city as much of as possible. Working the suburbs might sound pleasant because traffic is more tolerable there, but your opportunities to pick up passengers decreases the further out you get. You might find it challenging driving in more congested areas, but you'll get more comfortable as time goes on, pick up more riders and make more money, so the effort will pay off! Taking advantage of Uber SURGE pricing and Lyft’s Prime Time periods is one of the best ways to make more money as a driver. SURGE and Prime Time periods are all about supply and demand. These are peak periods when traffic is heavy, thus a higher demand for rides. These price hikes are only for specific areas, like hot spots in entertainment districts, when people might have spent the evening drinking or simply choose not to deal with navigating traffic themselves, and are thus willing to a pay a premium for a ride. Smart drivers take the time to learn which areas are most profitable during these peak hours and take advantage of the increased demand and higher earnings. When you start working as an Uber driver, one lesson you will likely learn very quickly is that not every passenger you pick up will turn out to be pleasant to deal with. Keep in mind that you are essentially in the customer service business, and some customers simply cannot be satisfied. This just comes with the territory, so be prepared. It's best to not take these experiences personally. The ride will only last a few minutes, so try to keep your cool and relax. Smile, do your job, and do your best not to react to any negativity or verbal abuse. Some passengers will be drunk, while others are simply rude or unpleasant. If a passenger becomes hostile to the point that you feel threatened, you can stop the ride and let them out. But we recommend being as patient as possible, completing the trip, and reporting the hostile passenger using the Uber app. The more time you can spend on the road in your car picking up riders, the more money you're going to make. Yet during long shifts driving, eventually you'll need to use the restroom. A good piece of advice is to keep track of restrooms located in your typical driving area. If you have to go out of your way to find a restroom, it's going to cost you money. This is especially true when driving in congested traffic or peak hours when you'll want to keep your bathroom breaks to a minimum. Taking the time to map out accessible restrooms will prevent you from wasting both time and gas, and thus put more money in your pocket. Another major impact a long shift in your car will have on you is hunger. There's just no way around the fact that you're eventually going to get hungry. Stopping at convenience stores for sodas and overpriced snacks will cut into your profits and also keep you from picking up your next passenger. A much smarter move is to bring along plenty of healthy snacks from home. This will save money and keep you on the road. We suggest that you bring snacks that won't smell up the car and annoy your passengers. After all, there's nothing worse than hopping into an Uber or Lyft vehicle that reeks of food. Once you've been driving for a while, you'll discover that there is a surprising amount of strategy involved in maximizing the amount of money you can make during a shift. In addition to the great tips we've already discussed, another important tip is to simply reduce your driving as much as possible. By this, we mean to try to avoid driving when you don't have a passenger. After all, you are only making money when driving passengers to their destinations, not when driving alone. Keep in mind that every mile you drive in an empty car is wasted gas, and therefore wasted money. This is where strategy comes into play, solving the puzzle of the best times to drive, as well as the best areas to target in order to make the most efficient use of time and gas. Automatically track your mileage and expenses via the SherpaShare app so that you can monitor hours spent driving, waiting, money spent on gas, and how many ride requests you received at specific times and locations. This enables you to track your profits and make changes as needed. Use SherpaShare’s Heatmap and smart driver Pro Tools to find high demand pick areas and plan the best routes to maximize your time on the road! Being an Uber driver is about making as much money as possible while minimizing expenses. With this in mind, remember that you are going to spend many hours in busy traffic, and car accidents can happen at any moment. We highly recommend that you take the time to review your auto insurance policy to see what kinds of accidents it covers. Being involved in a car accident is bad enough, but not being covered by your insurance is even worse. Don't worry, there is good news. For a small increase in your monthly premiums, most insurance providers offer Rideshare insurance coverage. This way you can focus on making money rather than stressing out about potential lawsuits or bankruptcy if an unfortunate event occurs. We realize you might be tempted to save a few bucks and take your chances by not investing in Rideshare coverage. Just remember that you really can't put a price on peace of mind. Tracking mileage is a key component of maximizing your profits and reducing your overall tax burden. The IRS expects you to report the money you're making as a self-employed independent contractor. There are plenty of expenses that can be written off, and the primary one is mileage. Your chosen platform should send annual summaries of the miles you've driven, but these reports don't necessarily provide all the information you need. The Uber reports, for example, only provide the mileage you drove while a passenger is in the car. Lyft, on the other hand, reports all the miles you drove while your car was in driver mode. If you drive for two or more platforms you’ll need to combine them at tax-time. The platforms’ GPS goes awry (which can happen). You drive for business while your app is off (i.e., en route to a hotspot, or returning home from a trip that took you to the middle of nowhere). The IRS could audit you. Ensure you get the largest possible deduction come tax time. Driving for Uber and Lyft has allowed many people to escape the drudgery of their 9-to-5 jobs in pursuit of financial independence. Following the entrepreneurial spirit means that every dollar matters, thus everyone looks for ways to save more and make more. These Uber and Lyft driver tips will help you pocket more money while doing a job you love. As with anything in life, it's the small details that often make the biggest impact. Try these ideas out, tweak them as needed, and watch the extra cash roll in! Click here to see the complete guide to becoming an UberEats driver. 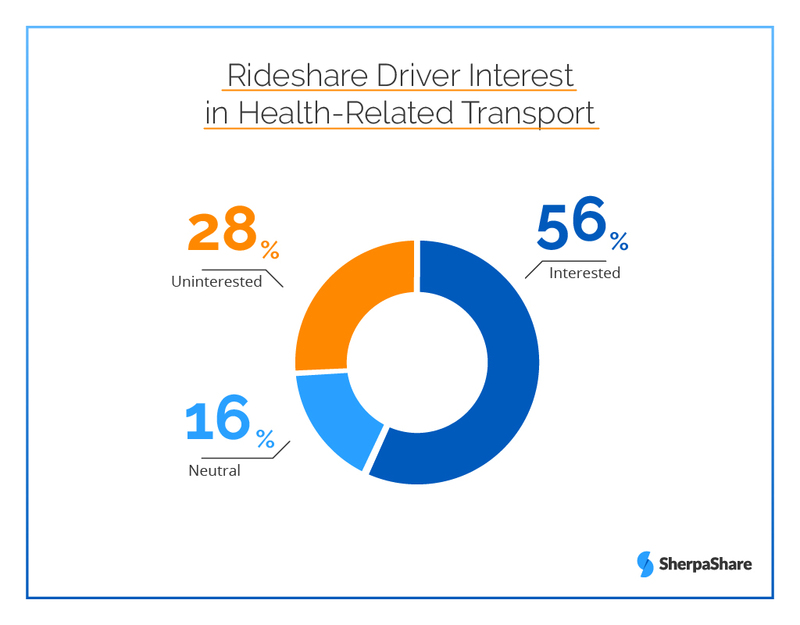 Over half of rideshare drivers reported they would be interested in adding health-related transportation to the services they offer consumers, according to a recent survey conducted by SherpaShare. This finding is particularly timely as more and more cities seek to find alternatives to legacy paratransit programs though rideshare integration––a move that could save transit agencies and municipalities millions each year. The survey found 57% of drivers reported they would be willing to undergo some type of training to provide paratransist and non-emergency medical transportation services. This is important as cities seek to match the level of transport service currently offered with the varying needs of patients, and look for ways to make costly paratransit trips more economical and convenient. Rideshare platforms clearly see health transport as a major business opportunity. Uber has launched Uber Health, a platform which allows health organizations to request rides for patients through a single dashboard. Lyft has partnered with Allscripts, one of the country’s leading electronic health records companies, to allow hospitals and physicians to order Lyft rides on behalf of patients. 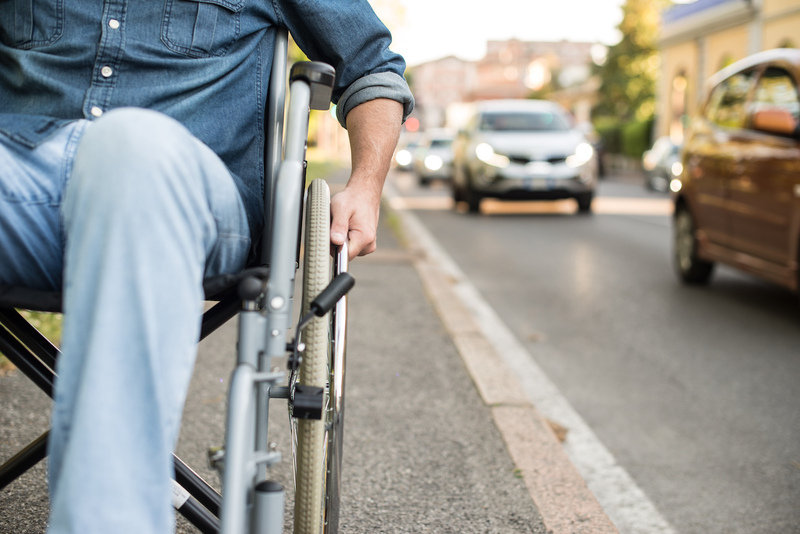 At the same time, disability advocates have challenged rideshare platforms in court, claiming that Uber, Lyft, and others have not met the requirements of the 1990 Americans with Disabilities Act. The Act calls for transportation providers to accommodate wheelchair users if passengers’ equipment can fit in their car. Uber has responded to legal challenges in California, Texas, and Arizona by claiming the company is a technology provider, not a transportation supplier as defined in the legislation. Please contact business@sherpashare.com for more info. The survey was conducted July 2 as part of SherpaShare’s monthly research panel with over 500 driver participants. Thinking about driving for Uber, Lyft, or another rideshare company? There is more to consider than just the extra cash you’ll make. Rideshare drivers need to be aware of the potential legal issues like gaps between your insurance and the company’s policy, what you could be liable for in an accident, and what to do in an emergency situation. Check out this guide to navigating the law as an Uber or Lyft driver, and stay safe and successful! Many drivers for Uber, Lyft, and other ridesharing companies could fall into an insurance coverage gap if an accident occurs while they are logged in as a driver. The gap in coverage occurs due to the lack of protection for rideshare drivers within personal automobile policies and because of the secondary nature of the insurance provided by ridesharing companies. It may not be brought to your attention when you sign on to drive for a rideshare company, but their insurance policies only cover certain circumstances. Personal insurance policies often prohibit driving for profit, and thus they will not cover you if you are working as a rideshare driver unless you’ve purchased additional insurance coverage. This insurance gap means that in the case of an accident, questions and disputes could emerge about who is responsible for paying damages. This situation could delay insurance claims and expose a driver to costly legal battles. Without the proper insurance coverage, a driver might end up responsible for vehicle repairs and medical bills of everyone involved in the accident. To avoid these consequences, be sure to obtain an insurance policy that specifically covers ridesharing work and/or commercial driving. Many personal car insurance policies give you the option of buying supplemental insurance. Without one of these supplemental policies that specifically grants coverage for commercial driving, you are likely operating under a personal policy that specifically excludes coverage of driving-for-hire work. Be sure to read the fine print of your insurance policy and talk to your insurance agent or an attorney about getting sufficient coverage for your rideshare work. Insurance policies for rideshare companies: how do they work? Uber and Lyft tie their insurance policies to three activity stages: waiting for a ride, providing a ride, and being offline. Here is what happens with regard to insurance in each stage. 1. When drivers turn on a rideshare app and are waiting for a pickup request, the rideshare company provides liability coverage for third parties. This pays for property damage and medical bills when a rideshare driver is at fault. When an outside party causes the accident, the rideshare driver could make a claim against the at-fault driver’s insurance. 2. After drivers accept ride requests, they are considered “actively engaged in a job” while traveling to the pickup location and transporting people to destinations. During this period, Uber covers third party liabilities and bodily injury caused by uninsured or underinsured at-fault drivers, including hit-and-run accidents. Contingent collision and comprehensive coverage is also active. Lyft insurance pays for damages in excess of the commercial coverage, if any, carried by drivers. 3. Once drivers shut off the ridesharing app and enter offline mode, they are covered solely by their personal policies. In some states, Uber drivers have access to driver injury protection policies through Uber’s affiliate Aon. In a qualifying accident, you could receive disability payments up to $500 per week and as much as $1,000,000 could be available for your medical expenses. The policy also includes a survivor benefit up to $150,000 for the driver’s family, in cases of the driver’s death. What should drivers look for in an insurance policy? The same insurance companies who provide personal coverage have developed products specifically for rideshare drivers. They serve as either extra protection while online with a rideshare network, or as an extension of personal coverage while engaged in driving-for-hire work. Depending on the insurance company and policy, you can expect to pay an extra $10 or $25 per month or an additional 15 to 20% of your existing premiums for this extra coverage. When selecting a policy, evaluate your current coverage, consider your deductibles, and determine how much extra protection you need. Do you need a commercial driver’s license? If you want to pursue ridesharing work, you should find out if your state requires a commercial driver’s license to transport passengers. Some states impose commercial licensing on people who perform any ridesharing work, while others only require it of full-time professional drivers. Each state’s department of motor vehicles provides precise information about licensing laws. If you are a commercial driver who has partnered with Uber, there are particular insurance requirements for you. Drivers in this category must carry a commercial automobile policy that acts as the primary coverage for accidents. This applies to all UberBLACK, UberSUV, UberTAXI, and UberT partners. It also applies to UberX partners and Lyft drivers in some specific places (such as New York City). Uber’s insurance policy may pay for accident expenses in excess of the primary coverage. What should you do if you are in an accident as a rideshare driver? When accidents happen, drivers should check to see if their passengers are injured. Call paramedics or emergency services if people are hurt. Drivers, even if they appear uninjured, should visit a doctor as well. Some motor vehicle injuries are not immediately apparent. 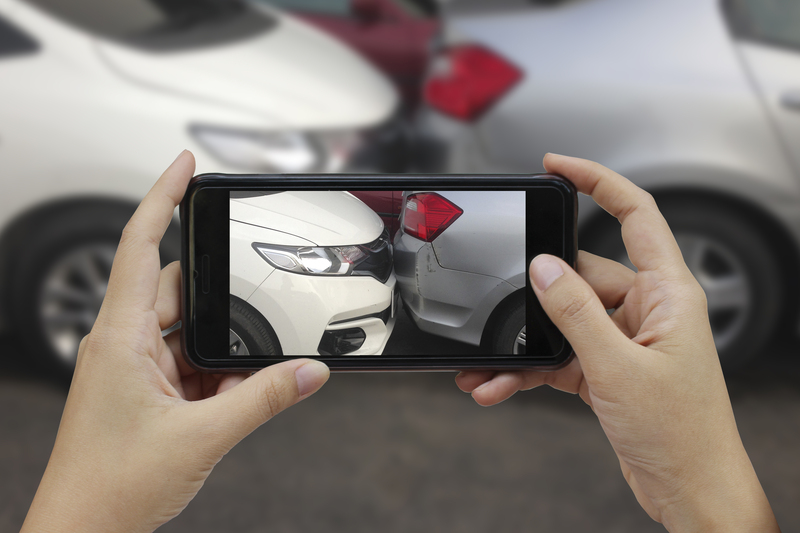 Rideshare drivers also have a responsibility to document the accident scene by taking pictures on their phones and recording interviews with witnesses. They can also request a copy of the police report. Drivers must inform their insurers about the accident and the companies covering any other vehicles involved. Drivers should likewise inform the ridesharing app company they are driving for as soon as possible. In most states, rideshare network companies designate their drivers as independent contractors. As an independent contractor, you have no legal rights to a minimum wage, overtime, reimbursement of expenses, or unemployment benefits. Contract law, however, does apply, and in a recent lawsuit, Uber drivers have sued the company for alleged breaches of contract based on shorting drivers’ pay or keeping tips. Other legal actions have challenged the premise that independent contractors have no rights to the reimbursement of expenses or benefits. Prior to driving for a rideshare network company, you should research your state’s laws to see how your state classifies rideshare drivers. As independent contractors, drivers are solely responsible for their own income taxes. Taxes are not automatically deducted from your paycheck as they are for full-time employees, so you will have to make quarterly tax payments or possibly pay a large chunk of tax when taxes are due annually. Your earnings from driving are reported to the IRS by the rideshare company using Forms 1099-MISC or 1099-K. These forms take the place of Form W-2 that someone classified as a full-time employee would have. 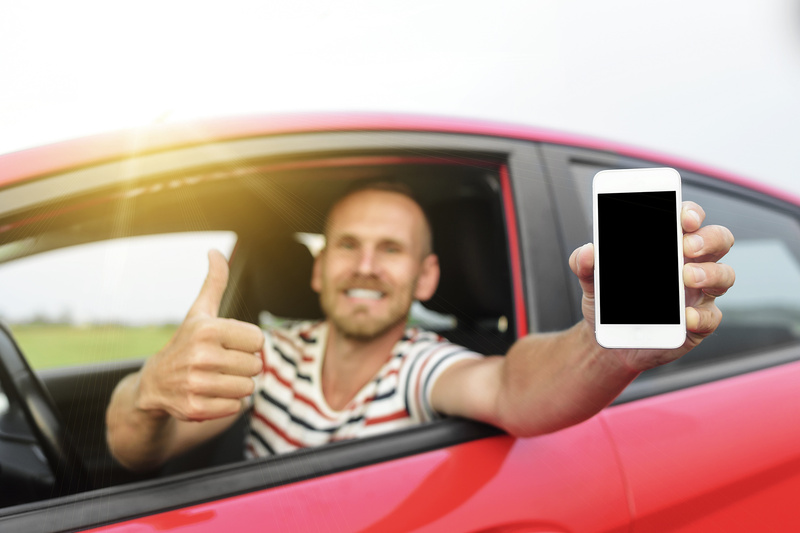 Drivers should record their work-related expenses, such as mileage, cell phone bills or supplemental insurance because those could serve as tax deductions. It’s also recommended that on-demand workers use a third-party rideshare assistant service like SherpaShare to automatically track mileage and expenses in one easy-to-use app. Your independent contractor status also raises the question of whether you have a right to advertise your driving services on any platform. A current lawsuit in federal court challenges the concept that drivers must be exclusive to Uber or Lyft. The case draws upon people’s First Amendment rights to advertise themselves as drivers for hire. Traffic tickets could inhibit your ability to keep working as a rideshare driver. Uber and Lyft can check for traffic citations and release a driver from service at any time. Rideshare drivers should take any moving violations very seriously and go to court to fight any citations, even minor ones, in order to protect their means of earning income. Additionally, a record of reckless driving and DUIs is unacceptable for the rideshare driver’s background check. One caveat to this is that Californians can have a DUI on their record, as long as it happened over 10 years ago. In addition to insurance policies, license requirements, and background checks, there are a few more issues rideshare drivers should look out for. As strange as it may seem, accepting tips could create a legal problem for drivers in some states. South Carolina, for example, prohibits cash transactions for ridesharing services. Finally, although most fares will be routine, emergencies can happen. If someone who needs medical attention calls for a ride, you should tell them to call 911 instead. 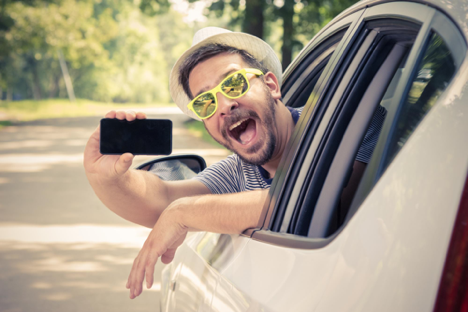 You may want to install cameras in your vehicles to record evidence or to protect yourself, since criminal activity could occur during a ride. If you see criminal activity, are assaulted by a passenger, or witness passengers assault one another, contact emergency services and an attorney. You may also want to contact the rideshare company in these cases as they can help. Lyft, for example, provides a critical response team that responds to drivers who experience damage to their vehicles, personal attacks, or other emergencies. Attorney J. Blake Ledbetter leads the civil law practice for Conoscienti & Ledbetter, LLC, a law firm in Atlanta, Georgia. 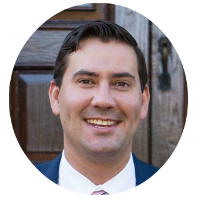 Mr. Ledbetter is a 2018 SuperLawyers Rising Star in the practice area of civil litigation and has written extensively about the legal ramifications of Uber accidents. As a rideshare driver, relaxing means no revenue. Being an entrepreneur with a side hustle isn't always easy. But what if you were able to generate revenue while recharging, by making money with your car? HyreCar is the carsharing platform that helps rideshare drivers with their own vehicles to make money, while on the app - or off. 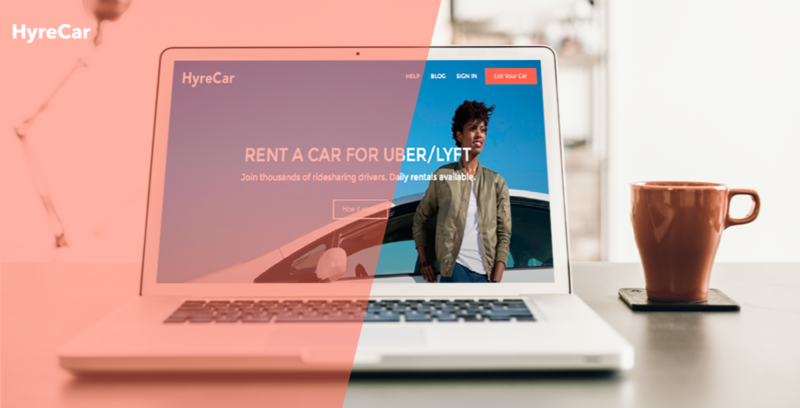 The peer-to-peer car rental platform connects rideshare drivers with vehicle owners to provide an easy, flexible solution to start driving with companies like Uber or Lyft. As a car owner, you’re able to list your car on the HyreCar platform when you aren’t using it to create an additional income stream. Imagine going on vacation, or maybe taking the weekend off of the road, but still getting paid while you’re not working? These guys make it possible. We know that your car is your money-making machine, but what about all of that time you aren’t driving for Uber or Lyft? It just sits in the driveway, depreciating. HyreCar allows entrepreneurs like you the chance to take your earning potential to the next level and create a new stream of income by renting out your car while you are out of town or simply enjoying some time relaxing for the weekend! You sign up and create a free listing for your vehicle. Local drivers will send in requests, making it easy for you to approve applications when you’re not working. Once you approve the application, we will generate insurance for the duration of the rental and connect the two of you via email and text message. Verify that the documents are correct and coordinate when/where to hand off the keys. When their rental period is over, or when you decided to get back on the road, they return your car. Best part is you get paid upon approving the application as well as every time the driver extends their rental. 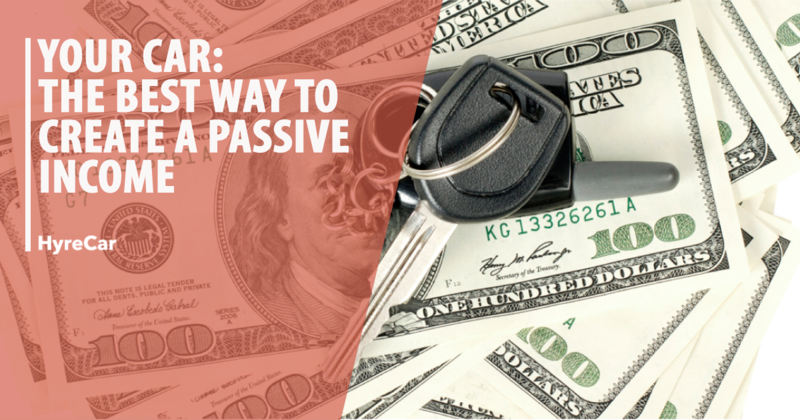 We know you could always use a day (or 10) off, so why not make some passive income while doing so? The typical owner that rents out their car on HyreCar is bringing in about $1,100 every month per car that they list. Pretty sweet right? It’s time for you to enjoy your true passions while reaping the benefits of some extra cash in your pocket. By providing a safe, secure, and reliable marketplace, HyreCar helps both parties build roads to financial freedom - one driver, one vehicle, one road at a time. Log in to your SherpaShare iPhone or Android app and tap on the Specials tab to find a $25 off HyreCar promo code. Are you considering becoming a delivery driver for UberEats? This guide will tell you everything you need to know about being an UberEats driver and help you decide if it's right for you. If you've walked out onto the street of any somewhat populated city, you've surely seen Uber driving around. As Uber's popularity has grown, so has its reach-- introducing new features like UberEats. Now, many are wondering how they can become an UberEats driver. Whether you're looking for a full-time gig, a great way to make some side income or need a break from passengers and rideshare driving, UberEats is a great and fulfilling way to make money. Now, where do you start? This is a comprehensive guide designed to give you all the knowledge that you need to become an UberEats driver in no time! Let's begin. For those who aren't too familiar yet, UberEats is a branch of Uber where an UberEats driver will go to a participating restaurant or eatery of sorts and pick up food that UberEats customers have ordered via their app. This is great for those who can't drive or don't have time to pick up and are really craving food from their favorite restaurant, especially one that doesn't deliver. The customer begins by logging into the app and searching UberEats for local restaurants that partner with Uber. They can either browse the feed for restaurant deals and ideas or type their desired restaurant into the search bar. Once they've picked their eatery, they will choose from items on the menu and place an order. Then, they will be matched with an UberEats driver that is in the right area who will pick up and deliver the food to them. How Does it Work as an UberEats Driver? Now, for the driver, the process is different. A driver who is logged on and ready to receive assignments will park or drive around a certain area of their choosing and wait for an order to be placed. Once an order is placed, the UberEats driver will be offered the assignment and will either accept or decline. Once accepted, they will go to the location where food was ordered, and then wait for the food until it's ready. If the food is ready, they will either pick up at a designated area in the eatery, or they will ask the staff where to pick up. Now that the order is received by the driver, they will simply drive to the customer's location and meet them at the curb. Once the food is delivered, they simply wait until the next assignment arrives. Now that you've learned a bit about how it works, you're probably eager to get started, right? Well, luckily, it is a pretty easy process to become a driver for UberEats. If you meet all of these requirements then you'll want to move to the next step. You may also be required to show proof of identity on top of your license with either a passport, birth certificate, or social security card. Now that you've got all your requirements and documents in order, you're ready to apply! It's super easy, you simply create a driver account on Uber's app or website and consent to their safety screening (background check) and upload your required documents. Once you've done that and everything has gone through smoothly, you will receive notification that you are active, meaning you are ready to start delivering. Now, let's move on to one of the biggest reasons people drive for UberEats... the money! This is probably the biggest question people have when inquiring about becoming an UberEats driver. How much do UberEats drivers make, and how do they get their money? Well, how much you make and your success with UberEats or any other rideshare service for that matter depends solely on how much you work and how diligent you are with tracking your mileage and expenses to reduce your tax bill at the end of the year. The more deliveries you complete, the more cash you can make, the limits are all on you. That being said, there are certainly other factors to consider in your pay-- that is, what location you are in and what times you are delivering. Obviously, there will be certain regions and certain times of day that are going to offer more opportunity for money. For instance, downtown Seattle will be a lot busier at lunchtime than a small town will be at 2:00 am. Pickup fee- Each time you go to a restaurant to pick up an order for someone, you will receive a pickup fee. Drop off fee- Similarly, every time you drop off an order to a customer you will receive a drop off fee. Minimum pay guarantee- UberEats promises that if you deliver within their recommended areas and times that you will receive a minimum payment that is about $6.30 before Uber's service fee. Now, as you can see, the amount that you make with UberEats is virtually limitless. It all depends on the amount of time and effort that you put towards driving for UberEats. Now you have all of the resources and information that you need to get on the road and become an UberEats driver! Before you get started make sure you’ve signed up for SherpaShare to log all your mileage and expenses to maximize your tax refund at the end of the year. We hope that this information was informative and fun. Check out hour blog for more amazing tips and advice for Uber, Lyft, and more! Trying to figure out how to save money on gas? Gas isn’t cheap, and as a rideshare driver, you use a lot of it. Anything that will help you save money on gas is something you should be doing. And there are a bunch of those things out there. Take a look at this complete rideshare guide that will help you save money on gas. There are a lot of small things you can do as a Rideshare driver to save money on gas. On their own, each of these things might seem small or inconsequential, but they’ll add up quick. Most of these won’t take any extra time out of your day either. Here’s a quick list of some driving behaviors you can change that’ll help you use less gas and save more money. Gas is denser when it is cool. That means you’ll end up with less gas if you refill your car when the gas is warm. So make your gas station visits sometime in the morning or evening when temperatures are cooler. You should also avoid getting gas at the end of the week (usually between Wednesdays and Saturdays) whenever you can. Prices might rise on these days and lower again at the beginning of the week. Make getting gas a Sunday or Monday morning chore. This might sound a little backward for a rideshare driver, but if you keep this trick in mind, you’ll end up using a lot less gas than usual. To clear things up, this doesn’t mean you should take fewer fares. Otherwise, what’s the point of being a rideshare driver? Just don’t drive when you don’t have to. Instead of driving around while you’re waiting for your next fare, use SherpaShare’s Compass feature to get ping-maximizing routes recommended for you. Chasing business doesn’t usually work anyway, and it will waste a lot of time and money. Note: this may not work if there are a lot of other rideshare drivers in the area. In this case, you should use SherpaShare’s Heatmap to view real-time driver and passenger location info and head to an area with fewer drivers and more passengers to make sure you get more business. Anything that makes your car work harder is going to make it use more gas, and that includes driving fast. Driving a few miles over the speed limit doesn’t get you where you need to be any faster anyway, so slow down and drive just below the speed limit instead. Also, keep your speed consistent. This will let your car use gas more efficiently. Turn on cruise control whenever you can. You might yourself filling up with gas less often when you try this. When you’re sitting and waiting for your next passenger, make sure the car is turned off. Letting the car idle will waste a lot of gas. Leave the engine off until you have a new passenger. After you’re done with the trip, turn your car off again. It can make a big difference. Because you don’t know where you’ll be driving until you get a passenger, this might be hard to do. But whenever you can, take the fastest and easiest route to their destination that you can. Try to avoid stop lights and stop signs if you can. A road that will let you drive without stopping is always a better choice. Remember, when a car works harder, it uses more gas. That means you should make it as easy for your vehicle to run as possible. And that comes down to maintenance. 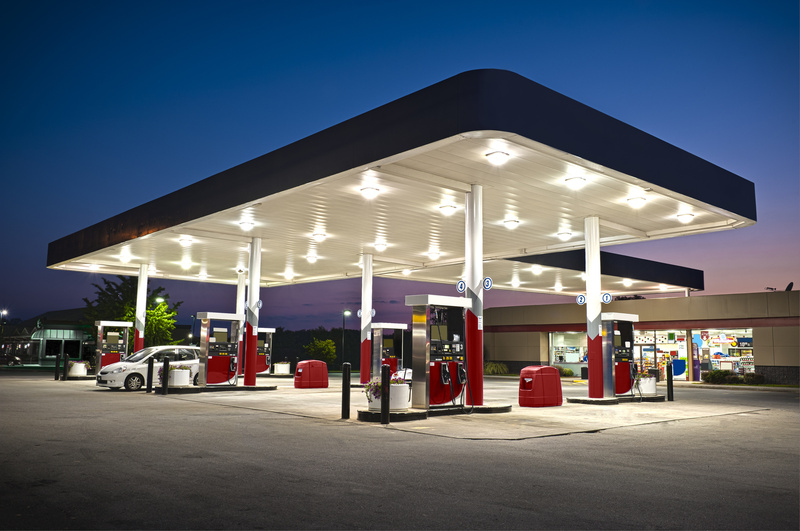 There are several routine maintenance chores that will allow your car to use less gas. If you do these things often, you’ll be able to keep your vehicle in excellent condition and save more money. Here’s a quick list of some car maintenance tips. When tires start to lose air, they wear out faster. This means the car has to use more gas than it usually would to keep driving. Tires that are full give your car much better gas mileage. Temperature also plays a part in your tire inflation. The pressure in your tires can change as many as two to three psi. So whenever the temperature goes through an extreme change, make sure you check your tire pressure. Checking your tire pressure isn’t hard, and it’s something you can do on your own if you have the right tools. If you live in a place that requires snow tires during the winter, make sure you change them back when the snow is gone. When they drive on dry roads, snow tires cause extra friction, and all that will accomplish is wasting gas. You might not think this has much to do with gas, but cleaning out your filters will help your car be fuel efficient. This gets even more important if you live in a particularly dusty area. Not ever motor oil acts the same for every car. There’s a type of motor oil out there that’s the best oil for your vehicle, so you should make sure you’re using it. This will make a big difference. When you’re car doesn’t have the right oil, it is forced to work harder and burn through more gas. If you aren’t sure what type of motor oil your car needs, look it up in the car manual or spend some time on the internet. It shouldn’t be hard to find. This means giving your car regular tune-ups. When the engine is in good condition and does what it’s supposed to do, it will run a lot better. If you can’t remember the last time you got a tune-up, it’s been too long. If you’ve always wanted to know how to save money on gas, you now have some tips that can make you more gas efficient. When you use less gas, you save more money. These strategies may seem small, but they’ll add up fast, especially if you do them all together. Looking for some other ways to be a successful rideshare driver? Take a look at these seven rideshare tips. Starting a new gig can come with a steep learning curve. There are a few comprehensive guides out there about starting your rideshare business, but if you’re short on time, those can be daunting. Whether you’re contemplating becoming a rideshare driver, you’ve just started out or you want to refresh your rideshare game, most drivers are happy to take a few tips from the pros to maximize earnings, efficiency, and overall success! The four rideshare experts at GR Rideshare Adventures gave SherpaShare their top tips for starting out on the right foot. 1. Get business cards made with your Uber/Lyft referral code on them. Why? Because: more money. Referrals help grow rideshare presence and awareness in your area, and you get a bounty when your referee hits their requirements. Small markets have a leg up, as most riders haven’t signed up for a gig yet. We recommend Vistaprint for great deals on printing cheap business cards. 2. Make your own rideshare placards with the info you want to share with your riders and hang them on the back of your headrests. Some vehicles allow you to customize the wallpaper on your dashboard display console with info. If your vehicle has the feature, create a wallpaper, save it to a jump drive, and upload it. A placard or wallpaper allows you to start a dialogue with your customers about the services you offer and reminders (i.e., phone charger availability and wearing seatbelts), and preferences they may have like, vehicle temperature or radio station. On the placard/wallpaper, be sure to include the following: your name and instructions to passengers to let you know their preferences. If you’re not the DIY type, you can order placards on Amazon and eBay. 3. Get a monthly car wash subscription. They’re as little as $19.99 a month and will make a great impression on your passengers, especially if you are transporting business people or airport customers. Bonus tip: You can write it off on your taxes! Upload your receipt to your expense tracker in the SherpaShare app, so it’ll be ready come tax time. 4. Join a local Facebook group to learn from fellow rideshare drivers in your market. Familiarize yourself with what it’s like to drive in your area through other drivers’ experiences. This will save you time and help you to start earning more right away. PSA: Before you ask a question, Most questions have been asked before, so it’s crucial to utilize the Search Bar at the top of the group page and search for them before asking the group. You’ll find answers quickly and avoid asking the group repeat questions. Some drivers in these groups will not be welcoming to new group members who post a frequently asked question. Check out the GR Rideshare Adventures Facebook page where the four of us share our experiences. We also take part in several regional Facebook groups for drivers. You can also communicate with fellow drivers using the Chat feature in the SherpaShare app for tips and tricks of the trade. If you desire to set up your own regional group download the SherpaShare Pulse app for a more robust set chat options. 5. Watch YouTube videos to get up to speed quickly. Do some research on what to expect while rideshare driving, so you’re prepared. Videos show you precisely what to do and what not to do, so you don’t have to learn the hard way! For some fun and crazy (yet informative) videos, check out GR Rideshare Adventures YouTube channel. 6. Buy an aux cord so riders can quickly plug in and listen to their music. Riders will appreciate you having this item and are usually the tipping type. 7. Track your mileage and expenses. This is a must. You can write off all your Uber, Lyft and delivery miles, and not just when you have a passenger, but the second you leave your house to work until you get home. We use SherpaShare. It runs in the background and automatically tracks mileage. SherpaShare also has some fantastic features designed specifically for drivers, such as Travis for your driving stats, Hotspots where demand is likely to be higher, Compass to provide route recommendations and Chat where you can talk to a community of other rideshare drivers. Check out this blog post for a list of 32 ways you can maximize your tax deductions. All the best in your rideshare driving endeavor! How many women drive for Uber versus Lyft exclusively? On December 7th, Uber released a new survey about its drivers that highlighter flexibility and convenience. If you haven't taken a look yet, it's worth at least a quick once over, and we'd love to hear what you think. Part of the report, which was done by Benenson Strategy Group, showed a clear trend of more female drivers. According to the survey, 19% of all Uber drivers are now female, up from 14% a year ago. In addition, Uber says women make up 30% of all drivers who joined in the past 3 months. As part of our October 2015 survey we covered the top demographic trends of all on-demand workers, not just Uber drivers. In particular we pulled out two interesting trends related to female drivers: First, that more middle-aged women are drivers then would be expected. While women overall make up 19% of the on-demand workforce, they make up 22% percent of drivers between 40 and 55. The second trend related to female drivers was that they work less hours, and therefore earn less then men in the on-demand workforce. On average, women drivers report making 34% less gross driving income per month than men, but are far more likely to drive part time. Lyft still appeals to more female drivers, proportionally. Nearly 30% of drivers who only drive for Lyft are female, compared with 16% of Uber-only drivers. We've documented many times in our research that 2/3rds or more of on-demand workers work for 2 or more services, and this trend continues to increase. However, we've also observed - as Uber noted in their recent research too - that most of these workers are first-time drivers. Therefore they start with one service, and eventually decide to "diversify" with the other service. And the entry point for more of these workers seems to be Lyft, in proportion to the percent of male drivers. This seems consistent with Lyft's persona and what we've heard from female drivers - Lyft 'feels' like an easier, safer, part-time option to dip your toes into. However, if Uber's last 3 months is an indicator of their workforce trend, Uber may very soon have a the same overall percentage of female drivers as Lyft, or higher, in their workforce. Thanks for reading our short post in reaction to Uber's recent report. To see more of our reports and survey data, visit our Report Home. To get even more exclusive driving insights and manage all your independent work for free, try out the SherpaShare app. Should you drive for DoorDash in addition to Uber or Lyft? A trend moving toward delivery work? Our recent on-demand demographic survey showed an increasing number of services being used for supplemental income - supplemental income to other on-demand work. The most common trend has been between ridesharing and delivery: Uber or Lyft drivers looking to fill the off-peak times with other driving work. Overall, the crossover is still relatively small, but it’s growing. We asked Paul if he could share some of his insight into the DoorDash experience. And if you have direct questions about DoorDash for Paul, he’ll be answering questions tonight - Thursday November 19th - from 7pm to 9pm PT in the SherpaShare App. Join in on iOS or Android. According to Paul, there aren’t really any challenges to delivering for DoorDash. “You pickup food and deliver it.” Plus, he can get free food samples every once in a while. In addition, the experience has been positive. He usually delivers in safe areas, and the worst thing he’s encountered is the loss of the GPS connection. “Luckily, I can read maps fairly well.” Paul does carry pepper spray in case he runs into anything bad. One surprise for Paul - which has been in the news recently - is that In-N-Out is not allowing DoorDash pickups now, since they cannot “guarantee the quality of the food”. According to Paul, he learned a lot when he onboarded for DoorDash but a few important details were left out they he wish he’d known about. “Our trainer did not tell us that DoorDash places the order in most instances”. So, Paul ended up ordering the food himself on his first day even though it had already been placed. In addition, in the app, “the order stacking feature can be a little intimidating at first”, but you get used to it and realize it’s a good sign to have those multiple orders. Just realize what you cannot control, such as the food prep time. Also, when you’re working, the app “wants to return you to busy areas after completing a delivery.” Paul’s tip is to ignore the app in this case. Avoid the extra "dead" mileage and just move a block or two away after a dropoff and wait for your next ping. Plus, the next request you get could be in the opposite direction from what the app recommends. According to Paul, he schedules DoorDash shifts in the evenings, which works with his full-time work schedule, and Ubers on weekends only during surge times. One of the main reasons for doing more DoorDash work is there’s less risk and liability if anything were to go wrong. “I’ve never had an incident, bit I can’t justify the pay rate for the liability that a driver has to take when driving a passenger, especially since I have a new car,” says Paul. That being said, Paul things there is greater earning potential with Uber. Higher risk, higher reward. He’s made anywhere from $0/hour to $20/hour with DoorDash with his average now being around $14/hour, gross. For Uber, his hourly average is about $17, gross. “My real incentive is the tax write-offs,” says Paul. As for other delivery services, Paul has thought about them, particularly Postmates, however, he noted, the Postmates interview hours don’t work for him. Do you do both rideshare and delivery? Tell us about your experience - we’d love to hear it and share your story in an upcoming blog piece. Email us! And if you’re interested in trying out DoorDash, support Paul by using his referral code when you sign up: 7608957018. DoorDash currently deliverers in San Francisco, Silicon Valley, Atlanta, Denver, Orange County, Toronto, Los Angeles, Boston, Chicago, Washington DC, Dallas, Houston, New York City, Minneapolis, San Diego, Phoenix, and Indianapolis. Don't forget to open up chat in the SherpaShare app tonight to ask your DoorDash questions to Paul or see what other drivers are curious about. Join in on iOS or Android!